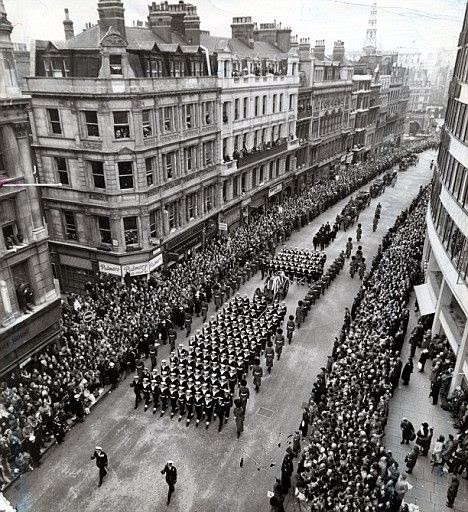 On this day in 1965, the greatest funeral of the 20th Century, the State Funeral of former Prime Minister Sir Winston Churchill (1874 - 1965), occurred in London. It would be the largest event of its kind ever held, matched only in size and number of world leaders in attendance by the funeral of Pope John Paul II in 2005. Over 350 million people watched the State Funeral on television around the world. 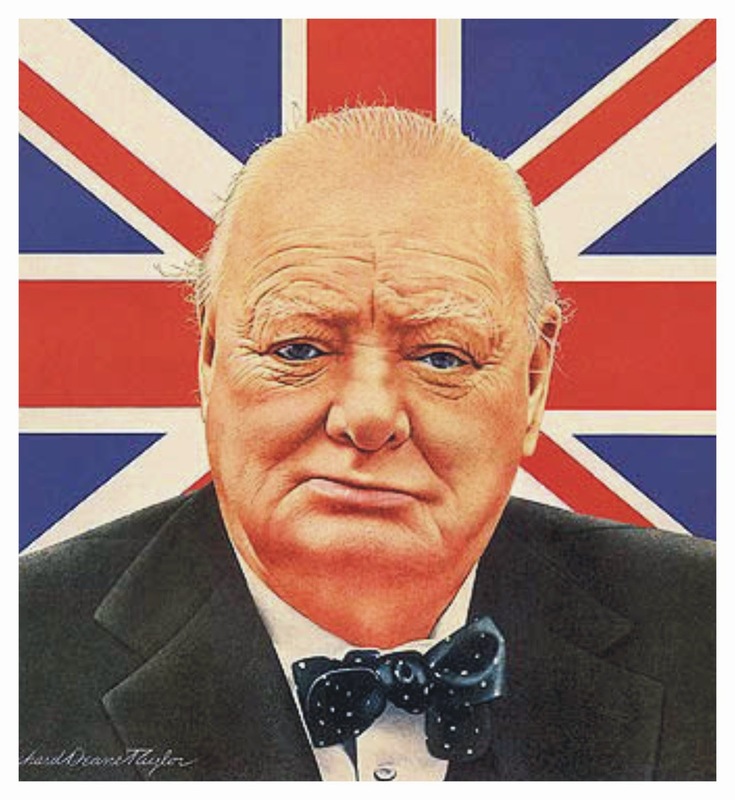 Sir Winston Churchill, Prime Minister of the United Kingdom from 1940 - 1945, and 1951 - 1955, is widely recognized as the saviour of his nation for leading The British Commonwealth to victory over the forces of Naziism in the Second World War. His power of oratory remains unmatched in the English speaking world. He galvanizing the spirit of the British peoples in the darkest days of British history in 1940 - when Britain alone stood up to Hitler after the fall of France and Western Europe. You can hear his inspiring oratory below in two of his radio addresses below. Churchill played a crucial role in the history of The United Kingdom all through the first half of the 20th Century but is best remembered as one of the Big Three leaders of the Allied Nations during World War 2, together with President Franklin Delano Roosevelt of the U.S.A. and Marshall Joseph Stalin of the U.S.S.R.. In a particularly touching memorial, the cranes along the Thames River in London would lower as a sign of respect for Churchill's funeral barge as it made its way up from St. Pauls Cathedral to Waterloo Station in London before he made his way to his final resting place in Bladon, England. I regard Sir Winston Churchill is the greatest single individual who has lived in the world in modern times. The entire world owes Churchill a debt of gratitude for providing the inspiration to defeat Adolf Hitler and Naziism at a time when this ultimate evil appeared to be unstoppable. The United Kingdom could have agreed to an armistice with Hitler on very good terms in May 1940 -- which Churchill, and the British peoples and her Commonwealth of Nations, refused to do. They would have to wait until December, 1941 to be ultimately assured of victory after the United States of America joined the Second World War after being attacked at Pearl Harbor by the Empire of Japan. And, if Britain made peace with Hitler's Germany in 1940, and the Nazis prevailed in victory, the world would be a much more evil and unrecognizable place today.